Introducing THE Dream Fabric Frame, your key to unlocking the true potential of your advanced Brother Sewing and Quilting Machines. Now you can make your workspace virtually endless. 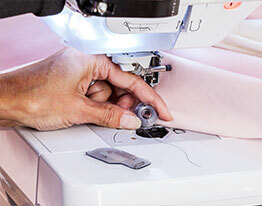 THE Dream Fabric Frame includes the SureStitch Stitch Regulator for enhanced control during free-motion sewing. 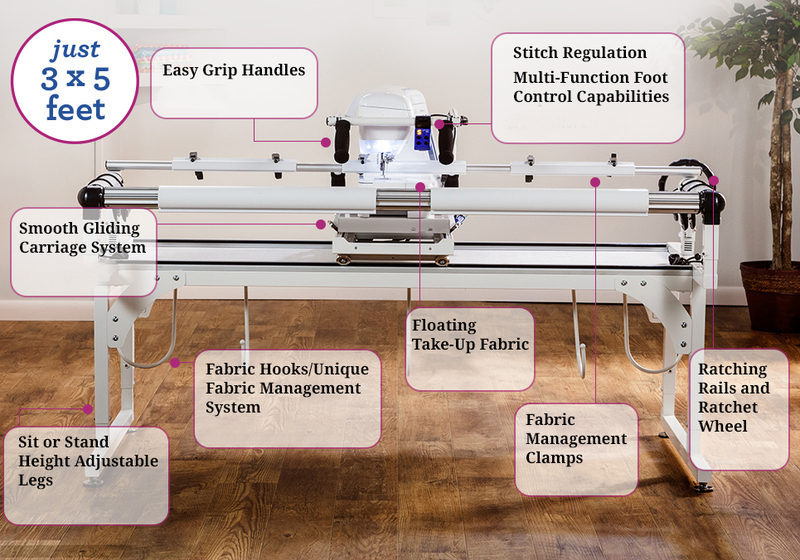 And when used with select Brother machines equipped with multi-function foot controller capabilities, you will enjoy built-in features such as thread cutting and single stitch sewing – all at your fingertips. THE Dream Fabric Frame is easy to assemble, and is manufactured for durability and reliability by The Grace Company for Brother. Constructed with tube steel and extruded aluminum, the frame has fully welded sides, guaranteeing increased frame strength. Now you have the peace of mind knowing you never have to worry about your frame shifting or rocking while you’re creating your favorite project. Made exclusively for Brother by The Grace Company. Expanded workspace for endless creativity and more freedom to create. Use the built-in SureStitch Stitch Regulator for enhanced stitch creation and control during free-motion sewing. Multi-function foot control capabilities now at your fingertips. Open an exciting new world of embellishment for your Brother-made machines and accessories. 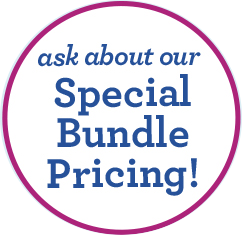 Easily create thread painting, free-motion couching, appliqué, needle felting and more! The customized SureStitch Stitch Regulator provides regulated stitching and utilizes the machine’s full stitch per minute range. All of this control is right at your fingertips. How convenient! 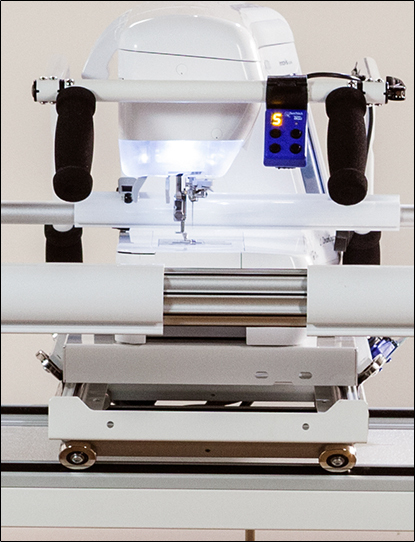 For Brother machines equipped with multi-function foot control capabilities, you can access features – thread cutting, single stitch, and needle position up/down – right at your fingertips. Your Brother machine easily fits on the smooth gliding carriage system. 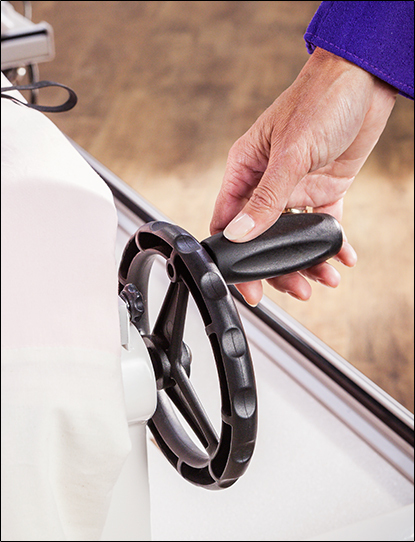 Simply place it on the frame’s trolley system, lock it in place, and you’re ready to go. The glides effortlessly with accurate movement, making it perfect for small, intricate stitching. 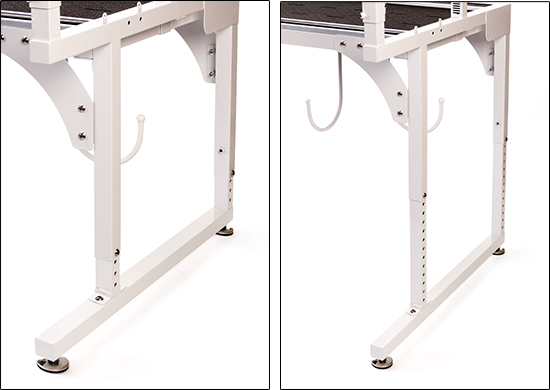 THE Dream Light Bar 5 is made to fit perfectly over quilting frames, sewing tables, or work areas as it is height adjustable. The True-Color light-balanced bulbs enhance the surface details of your projects while reducing glare and softening shadows and stays cooler than standard lighting system. Ergonomic placement of handles gives you effortless control of the machine. Unique handle mechanism allows the handle to be swung up and away to allow for easy bobbin exchange. The rail stays at a continuous height so you don’t have to raise or adjust it when you move your fabric to a new position. 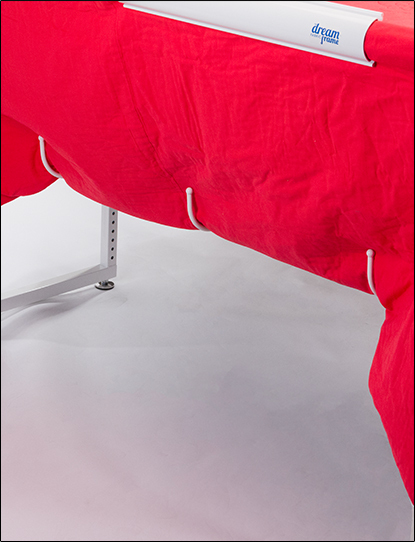 The fabric floats above the frame, out of the way of the machine's arm, keeping your workspace free! 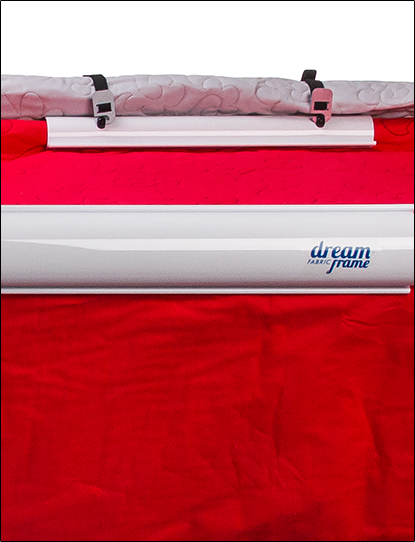 Looking for the Perfect Machine to Use with THE Dream Fabric Frame?